MS Awareness Week (22-28 April) is all about moving; in fact, we want you to Move It For MS! The Multiple Sclerosis Trust are encouraging everyone to pop on their pumps and introduce a little activity – big or small – into their daily routine. Staying active doesn’t need to mean running marathons or going to the gym, it’s about doing it at your own level, at your own pace. In the past, people with MS were advised to avoid exercise. It was felt that since many people with MS experienced fatigue and found their symptoms worsened when hot, it was best to avoid activities that could be seen as tiring. 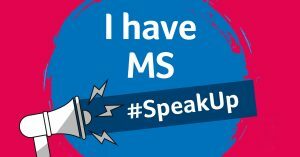 MS stands for multiple sclerosis. It is a neurological condition that affects the nerves in the brain and spinal cord, also known as the central nervous system or CNS. ‘Sclerosis’ means scarring or hardening of tiny patches of tissue. ‘Multiple’ is added because this happens at more than one place in the brain and/or spinal cord. Symptoms can come and go and vary greatly in their impact on someone from day to day, or even from hour to hour. There is a wide range of possible symptoms but you usually experience only a small number around the time of diagnosis and you may never experience them all. Symptoms vary from person to person and from day to day. This can make your MS rather unpredictable and can take some getting used to. Some of the most common symptoms around the time of diagnosis are fatigue (a kind of exhaustion which is out of all proportion to the task undertaken), stumbling more than before, unusual feelings in the skin (such as pins and needles or numbness), slowed thinking or problems with eyesight. Many of these symptoms may be invisible to other people. This may upset you if you’re feeling very unwell but others think you look OK. You may need to explain that your MS is causing difficulties, rather than assuming that others can detect this. There are treatments for the symptoms of MS although the condition can’t currently be cured. At the moment there is no cure for MS but there are disease modifying drugs to reduce relapse rates and there is a wide range of possible treatments for symptoms which you can discuss with your health professionals. Although the effects of MS can vary greatly from person to person, the condition is often categorised into one of three broad types. MS is, at least in part, an autoimmune disease which damages the protein coating of your nerves. The resulting patches of nerve damage (sclerosis) mean that messages don’t get passed along the nerve very efficiently or, sometimes, may not get through at all. Your symptoms will correspond to the areas of your brain and spinal cord that have been damaged. 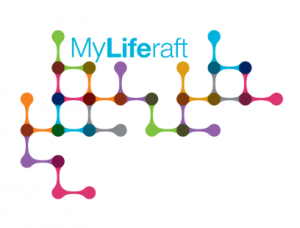 MyLiferaft is a free resource which gives an individual and those who support them, one central online place where they can add, manage and share information about health, care and well-being. Using MyLiferaft reduces the need for repetition and explanation every time someone new comes on board, helps improve consistency and is truly centered around the person and their needs. Set yourself some goals and monitor progress. Share your goals with others who can help you achieve them. At MyLiferaft, we aim to give you everything you need in once place and this includes where to go for advice, information and support. Our extensive list of resources has a specific section for those with multiple sclerosis with links through to organisations such as the MS Trust and the MS Society. 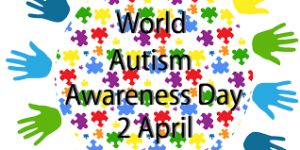 There is also a full list of resources on a wide range of topics including Bullying, Going Back to School, Bereavement, Dementia, Autism, Epilepsy, Mental Health, Benefit information and various NHS information websites. Over the course of a month, MyLiferaft supports several campaigns through social media and our blog. As a result, we often come across stories that make us laugh, make us cry and sometimes, just make us stop and think. However, it is very rare to come across a story that does all three, so we wanted to share with you this inspiring story. Lola has been fundraising for the National Autistic Society for the last 5 years as her uncle Frankie was diagnosed with Autism. With the help of ‘Team Lola’ led by her mum Holly, she has organised various events from baking, dressing up & wacky hair days. 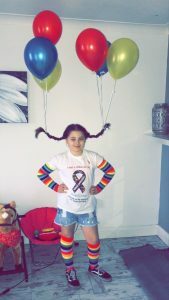 Lola has raised over £500 during this time which is amazing, but what is even more amazing is that Lola is 11 years old, which means she started fund raising when she was just 6! Frankie is 20 and was diagnosed with autism when he was 3 years old. He attended Greenfields School in Merthyr Tydfil whose motto is ‘Opening Doors to the Future’ and will be transitioning at the end of the Summer term – a difficult time for all families where a child has additional needs. 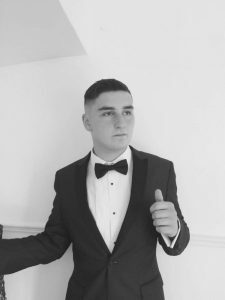 When Frankie was diagnosed, it was recognised that his autism was very severe, so from an early age it defined who he was and what he was able to do. As a result, his family had to adapt very early on and they continue to adapt as Frankie’s needs as an adult change. Despite all of this, Frankie loves being outside in the fresh air, so his family have put together different activities that ensure Frankie gets out as much as possible. His favourite is his weekend respite trips to a local farm where he gets fully immersed in all the farming activities, including the mucking out! The wider family are involved in Frankie’s care to ensure that he is active and safe and that everyone gets a ‘time out’ – something that is incredibly important for everyone in Frankie’s circle of care and we’re sure will strike a chord for others who are in a similar position. Frankie’s update – since we last spoke to Team Lola, Frankie has transitioned and settled in at a house run by the National Autistic Society in Neath. He attends midweek and travels via taxi. He still enjoys his outdoor activities and is often hiking, swimming, and walking. He also helps out at the house with various jobs such as cutting the grass and other outdoor tasks! The first time that Lola decided to raise money for charity was at the hairdressers aged just 6 – when most little girls are longing for Rapunzel type hair, Lola decided to cut off 7 inches and donate it to the Little Princess Trust! The Trust make wigs for children with cancer out of donated real hair. She raised £122 and is considering doing it again later this year now that her hair has grown back! Lola was aware that Frankie had autism from around 5 years of age and that he was different, however she has always been totally at ease with him and appreciates that he is ‘different not less’. 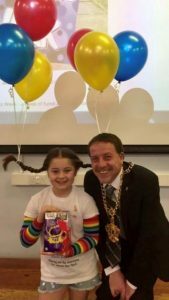 She started baking to raise awareness and money, which then led on to Wacky Hair days that have been supported by Lola’s school! And in answer to the obvious question – YES – Lola’s hair remained held up by the balloons all day at school! 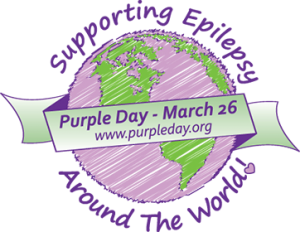 Purple Day was founded by Cassidy Megan in 2008 with the aim that she ‘wanted people around the world to come together and teach others about epilepsy’. Since then, more and more people are talking about epilepsy and finding ways to support those around them that have epilepsy. St Valentine is the patron saint of epilepsy and both the Roman Emperor Julius Caesar and the artist Vincent Van Gogh had epilepsy! Epilepsy is a condition that affects the brain. When someone has epilepsy, it means they have a tendency to have epileptic seizures. Anyone can have a one-off seizure, but this doesn’t always mean they have epilepsy. Epilepsy is usually only diagnosed if someone has had more than one seizure, and doctors think it is likely they could have more. Epilepsy can start at any age and there are many different types. Some types of epilepsy last for a limited time and the person eventually stops having seizures. But for many people epilepsy is a life-long condition. However, in over half of all people with epilepsy, doctors don’t know what caused it. Some may have a family history of epilepsy, suggesting that they may have inherited it. Scientists are trying to find out more about how epilepsy might be inherited. The main treatment for epilepsy is epilepsy medicines. These are sometimes called anti-epileptic drugs or AEDs. The medicine doesn’t cure epilepsy but helps to stop or reduce the number of seizures. If epilepsy medicine doesn’t work well for someone, their doctor might suggest other types of treatment – these can include brain surgery, another type of surgery called vagus nerve stimulation, and a special diet called the ketogenic diet which is sometimes used for children. Use the seizure tracker to record each seizure, using notes to give more detailed information. Keep a record of all consultations and what was discussed. We want to help you free up some time to do the things you enjoy, so we are offering a Premium Account FREE for 12 months (normally £120). Click here and type in the code Purple365 when prompted. At MyLiferaft, we aim to give you everything you need in once place and this includes where to go for advice, information and support. Our extensive list of resources has a specific section for those with epilepsy with links through to organisations such as the Epilepsy Society, Epilepsy Action and Young Epilepsy. There is also a full list of resources on a wide range of topics including Bullying, Going Back To School, Bereavement, Dementia, Autism, Mental Health and various NHS information websites. 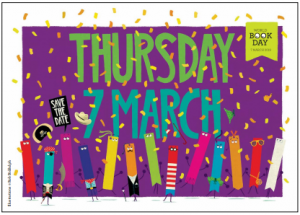 Whether you are into reading funny books, scary books, magical books, books about facts or books about fiction, World Book Day is all about BOOKS! Clare (Ops Director) read every Elmer The Elephant book and any books that had elephants in them! In fact, Clare still loves elephants and they feature in every room in her house! Jane (Project Manager) loved reading the St Clare’s and Mallory Towers books about a group of girls at boarding school and is now reading them with her almost 9-year old daughter! For some children, getting them to read can be stressful and for parents, it can be difficult to work out if your child is a reluctant reader or struggles to read. The Oxford Owl is an award-winning website from Oxford University Press, created to support children’s learning both at home and at school. Click here to make use of their brilliant resource to help and support parents and children. Our Chief Technical Officer loves visiting the local library with his daughter! You could turn a visit into an adventurous day out to help encourage your child to read. Libraries will also have a huge selection of books for all reading types and age groups. To find out more about your local library, click here. If you are unsure of where to start, we’ve put together a few websites to guide you in the right direction. You may be looking for a book that helps explain a specific disability so your child will understand more about themselves or looking how to introduce some ‘every day’ experiences such as going to the hairdressers or the doctor through reading a book. There are also story books available where the central character has a disability. The World Book Day website as loads of fun resources and top tips aimed at all ages! Bag Books is a UK registered charity supporting people with learning disabilities through the provision of multi-sensory books and storytelling. It is the only charity in the world publishing multi-sensory books for people with severe or profound and multiple learning disabilities. Little Parachutes are a positive collection of picture books that are either about disability or feature people with disabilities. We love this list of books for dyslexic and reluctant readers from The Independent . Scope has published storybooks featuring disabled children. 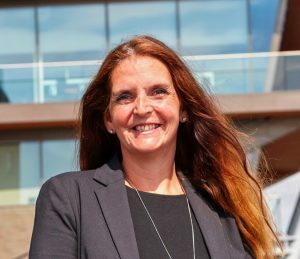 Nicola Murgatroyd, the founder of MyLiferaft, was a wife and working mother with three children. Her daughter, Faith, had multiple and complex additional needs. She understands the world of being a parent carer and set about designing a tool to support those who find themselves in a similar position. In conjunction with author Gail Yardley, Nicola has also been busy with books! Based on a group of ponies in the Isle of Wight, Nicola and Gail have written several books about Molly, Malt Loaf and their friends! To find out more about the Happy Ponies, click here. To find out more about MyLiferaft and how it can help you, those you care for and their care circle, click here. As Occupational Therapists, do you sometimes find that you don’t have sufficient information about a client, and that time pressures and the environment of an assessment can make it difficult to get a holistic understanding of their situation and wishes? 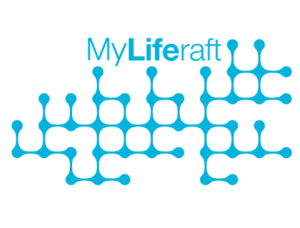 Created by Nicola Murgatroyd, a mother of a child with long-term complex care needs, MyLiferaft is an online place to store and manage an individual’s health, care and well-being information. Originally set up to support parents who were caring for children with long-term conditions and special needs, it quickly became clear that MyLiferaft could be used by families and individuals, young & young-at-heart and their wider care-circles. Respondents indicated those who supported them in their ‘care circle’ were: family members 57%, GP 57%, consultant/specialist 41%, therapist 26%, social worker 24%, friends 21%. Three of the questions they responded to are shown below as we tried to understand some of the challenges they faced. The complex and often fractured communication pathways added to the level of stress and anxiety experienced by a parent carer who was constantly worried that vital information would be missed. If those in the care circle are not communicating with each other and the parent, then the child can also suffer unnecessary stress and anxiety. As an OT you need information about the person who has been referred to you, this generally comes by a referral form and or a face to face assessment. The completion of such forms is a stressful task for parents, they want to be the best advocate they can be for their child, but finding the information can take hours; it can also be painful to have to focus on what their child can’t do. The information in the assessment form can come across as one-dimensional view. Our research has shown that the importance of collaboration and delivering actions and interventions in a consistent way, is vital to achieve the desired outcomes. However, this collaboration is one of the most difficult to achieve as instructions get lost, programmes and circumstances change, and new people join the team. There is a constant need for exchange of information so that interventions can be adjusted in line with changes. MyLiferaft bridges these gaps in personal care, and supports the sharing of this information. 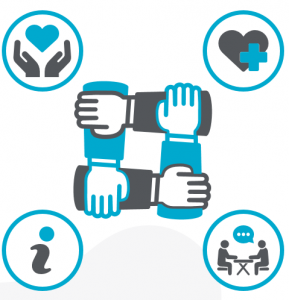 Everyone gains, the carers and individuals become more engaged and empowered and professionals have a way of understanding their clients and ensuring their plans are accessible to all who support them. To read more testimonials like Anna’s, click here. You can also find out more information on our website. 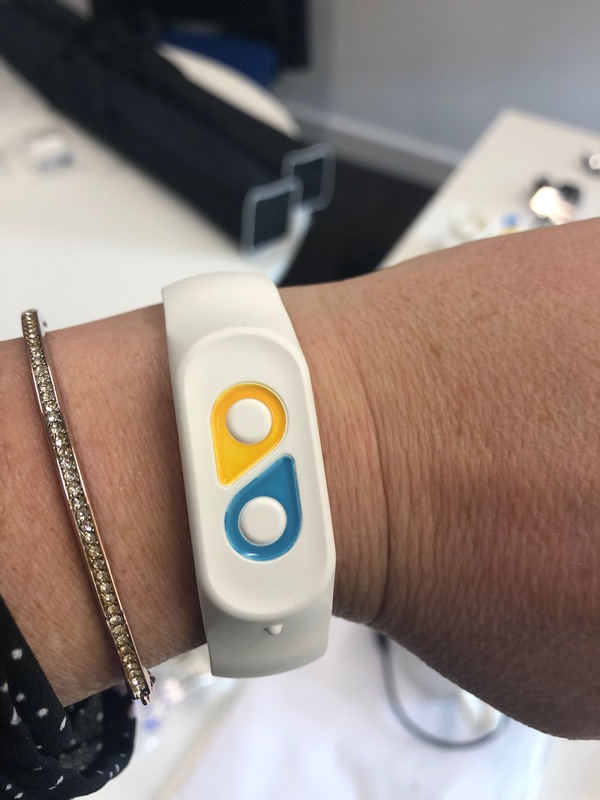 MyLiferaft works in collaboration with the TSA Voice, UK TeleHealth Care and Barnet & Southgate College driving forward advances in assistive and digital technology. It is reported that 75% of adults who are experiencing mental health issues started before the age of 18, and that one in ten children will experience a mental health difficulty at least once before the age of 11. These statistics make it clear that the sooner we can spot the signs in childhood the better. When you hear the phrase ‘healthy living’, you probably think of being healthy on the ‘outside’ – being active, taking exercise, eating a healthy diet and getting sufficient sleep. However, we also need to be aware of the health ‘inside’ our body, and that includes our mental health and making sure that we look after our minds. M – MOOD – they get irritable, argumentative or aggressive towards you. They may blame you if things go wrong and can also become withdrawn. A – ACTIONS – they may experience changes in eating and sleeping patterns. Look out for any signs of bullying, alcohol, drugs or self-harm. S – SOCIAL – they appear bored, lonely or withdrawn; they start to get into trouble. Losing interest in friends or missing school are common warning signs. K – KEEP TALKING – Refusing or being reluctant to talk about how they’re feeling is common. Keep listening and ask how they are feeling; make sure they know there’s someone there who really cares. 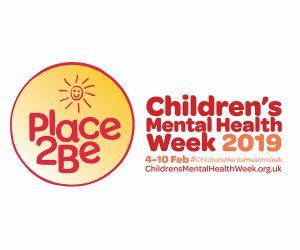 Place2Be is a children’s mental health charity providing school-based support and in-depth training programmes to improve the emotional well-being of pupils, families, teachers and school staff. They currently provide mental health support in 294 primary and secondary schools across England, Scotland and Wales, reaching 142,000 children and young people. Last year, 232 schools took part in their in-depth ‘Mental Health Champions’ programmes, equipping school leaders, teachers and staff with the skills and confidence to support pupils’ mental health. To find out more about Place2B, click here. We want to help you free up some time to do the things you enjoy. Our Standard service is FREE and you can try it now – just click here. All around us, in everyday life, we see children – in the supermarkets, in the playground, sitting in cars to and from school – but have you ever given a thought about the children you see and if they are a young carer? 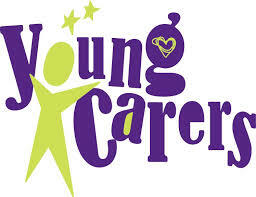 How are Young Carers Impacted? With so many adult responsibilities, young carers often miss out on opportunities that other children have to play and learn. Many young carers struggle educationally and are often bullied for being ‘different’. They can become isolated, with no relief from the pressures at home. 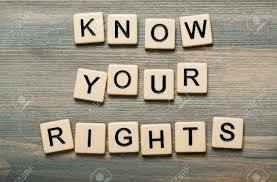 The rights of young carer are generally assessed under the Children Act 1989 and the Children and Families Act 2014. The local council have a duty to assess ‘on the appearance of need’ (i.e. without a ‘request’ having to be made). They also have a more general duty to ‘take reasonable steps’ to identify young carers in their area. There are also several benefits and allowances that the young carer may be eligible for, such as a Carers Allowance. See MyLiferaft Resources on where to get information on this. There is so much involved in caring for a loved one and when we designed the MyLiferaft online application, we knew it was key for both carers and those they care for to have the ability to track their care, health and well-being in a safe, secure manner. With a MyLiferaft account, you can capture important details about; care, health, social, well-being and education using forms and trackers. You can share this information with all those within a care circle – other family members, medical personnel, therapists etc – which ensures everyone is kept up-up-to date and support can be provided in a consistent way. This is all done online and securely which results in less repetition in communicating changes about an individual’s needs. Knowing others can easily be given the right information, by sharing, to step in to give a helping hand can give a young carer confidence in taking a break or asking for help. Also, if a young carer is having an assessment the assessor can be given access to help them understand the role that the young carer has. 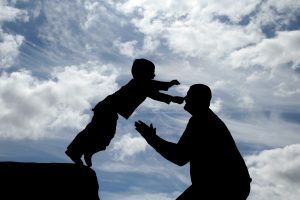 YOU have the flexibility to choose the MyLiferaft account that works best for YOU and YOUR family. Choose from either the standard account which is free or the fee based Premium account which gives you unlimited access to Trackers, Reports and Goals as well as the ability to share the information with as many people as you wish. 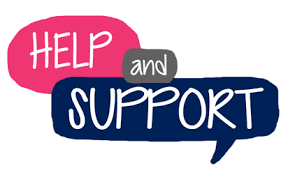 There are many different organisations offering help, support and advice to young carers on all aspects of their lives: help with schooling, applying for benefits, offering someone to talk to and directing them to services in their local area that can offer ‘hands on’ support. Below are several of the organisations that we have found that can offer all of the above and more. You can find even more in the Young Carers section in the MyLiferaft Resources on our website. Carers Trust – Carers Trust believes in a world where the role and contribution of unpaid carers is recognised and they have access to the quality support and services they need to live their own lives. 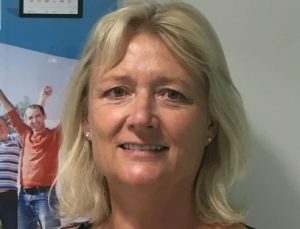 Carers UK – Making lives better for carers. NHS – Support and advice from the NHS for Young Carers. Young Minds – As a young carer you can find helping someone very rewarding, but you also have the right to be looked after. Find out what young carers do, how to spot if it’s getting too much and what to do about it. Barnardos – All children deserve a childhood. The 3rd Monday in January has historically been named as the most depressing day of the year due to a combination of low sunlight levels, cold weather, post-Christmas bills and the abandonment of New Year’s Resolutions. In fact, several years ago a (non-scientific) formula was created to explain Blue Monday [W + (D-d)] x T^Q} ÷ [M x N_a], with “W” standing for weather, “D” standing for debt, “d” standing for monthly salary, “M” for motivational levels and “Na” standing for the feeling of a need to take action. 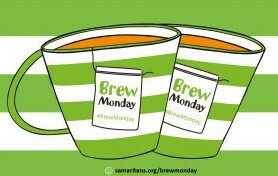 However, never one for a formula, we wanted to support the Samaritans this Blue Monday with their Brew Monday campaign! Established by the Samaritans in response to Blue Monday, Brew Monday was set up to try and counter the effects that mental health has on people around the country. By having a ‘brew’, you could help to save someone’s life. Being able to listen to someone who is feeling depressed is often one of the most effective ways of helping to support them. Everyday, the Samaritans answer over 1,324 calls from people all around the United Kingdom who need their support. They offer a safe place for you to talk any time you like, in your own way – about whatever’s getting to you. They know a lot about what can help you through tough times and can help you explore your options, understand your problems better, or just be there to listen. Using MyLiferaft enables you to track and record how you feel your mental health is – good days, not-so good days, events that could trigger a low period etc. You can enter this information into our Trackers and then plot over a period of time how you have been feeling, and use this to set goals to help improve your well-being. It’s a great motivational tool; feel empowered by incorporating MyLiferaft into your life. We have created 2 packages to give you the flexibility to choose the MyLiferaft account that works for you and/or your family. Choose from either our Free account or upgrade to our Premium account which gives you unlimited access to Trackers, Reports and Goals as well as the ability to share the information with as many people as you wish. 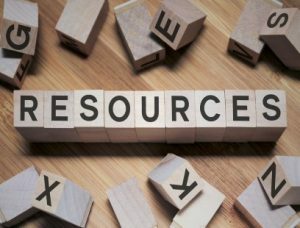 The MyLiferaft Resources has a comprehensive guide to organisations and charities that can support and help someone who has mental health issues. To contact MyLiferaft to find out more about setting up your account, click here. To contact the Samaritans, click here.